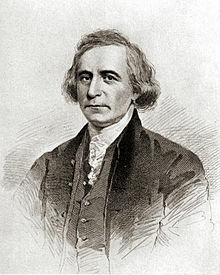 Philip Morin Freneau (January 2, 1752 – December 18, 1832) was a notable American poet, nationalist, polemicist, sea captain and newspaper editor. The hunter and the deer a shade. The Indian Burying-Ground. This line was appropriated by Thomas Campbell in O'Connor's Child. They took the spear, but left the shield. To the Memory of the Americans who fell at Eutaw. Compare: "When Prussia hurried to the field, And snatched the spear, but left the shield", Sir Walter Scott, Marmion, Introduction to canto iii. This page was last edited on 10 September 2018, at 00:01.